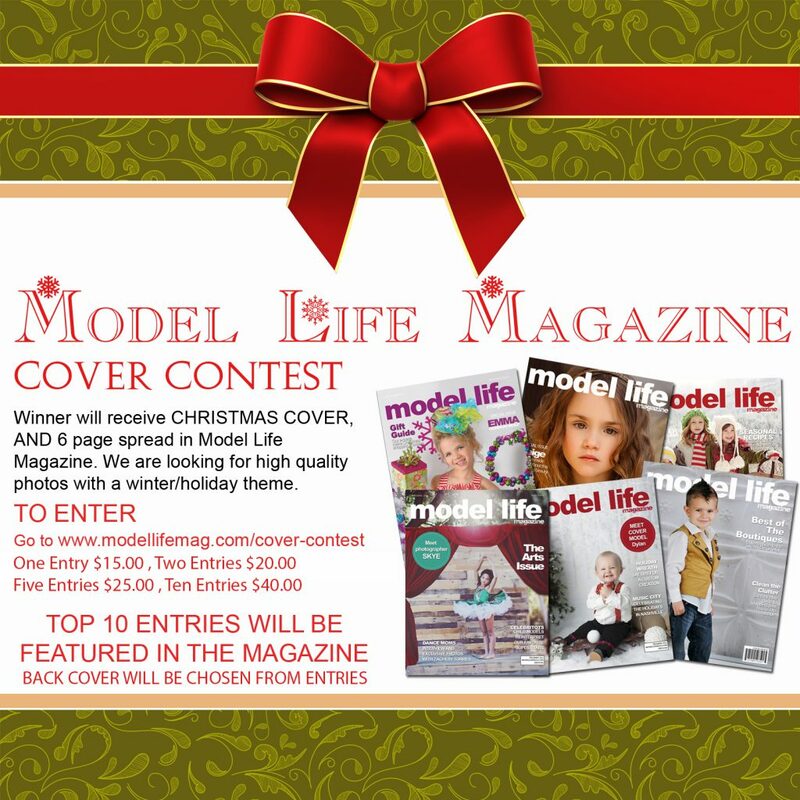 We are looking for one exceptional picture to put on our next cover! Anyone can enter, but the winner will be chosen by an independent group of industry aficionados with an eye for fashion, photography, and entertainment. The winner will be on our upcoming cover, have an interview printed in the magazine, and will receive a 6 page spread. We are looking for high quality photos that are unique and engaging. We’ve had such awesome pictures in the past that we usually print some of our favorites in the magazine- we can’t help it! They’re always so amazing! Judges will be looking for vibrant pictures that show personality, beauty, and creativity. Your first photo entered is $15, but the more photos you enter the less each photo costs! Entry is open to models, boutiques, and photographers. Show us your awesome photos! Minimum resolution of 300 DPI. Less than this and pictures will look grainy in the magazine. Dimensions of 8.5″ by 11″. Solo, duo, or group shots are welcome, but prizes will be awarded to the submitter. No logos, watermarks, or advertising. If any of these are in the picture, your copyright is compromised and you must own the copyright to your picture for us to publish it! Photos that have been published full page in another magazine are not eligible. While the winner will not be announced publicly until the issue comes out, we will contact the winner and have them complete a short interview beforehand so it can appear in the magazine.